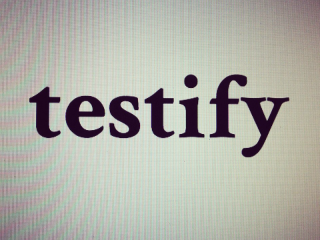 Testify is a monthly show featuring performers telling personal stories live on stage. Each month has a different theme that ties together stories that span the human experience. The show this month is collection of performances traversing the definition of "expecting" and "expectations" on a myriad of physical and emotional levels, including tales of love won and lost, mommies to be (or not to be), haunted pasts and less than Great Expectations.